I am so nervous. I’ve only had this job for four days and tonight I’m going to meet all the movers and shakers behind the Bodie Island Lighthouse Library. Yes, that’s right. I work at a library in a lighthouse. How neat is that? And, to make things even better, I have my own apartment on the fourth floor. I call it my lighthouse aerie, it’s so tiny and perfect. Hard to believe it was just a few short weeks ago, that my long-long-long time boyfriend, Richard Eric Lewiston III, pulled a small blue box out of his suit pocket, dropped to one knee, and asked me to marry him. I fled into the night. The next day I quit my job at Harvard Library, packed my favorite possessions into my Yaris (leaving my least favorite at my parents’ house when I cowardly knew the maid would be the only one at home) and drove to Nags Head, North Carolina. My intention was to throw myself into the arms of my favorite aunt and spend the summer lazing about on the beach while deciding what to do with the rest of my life. 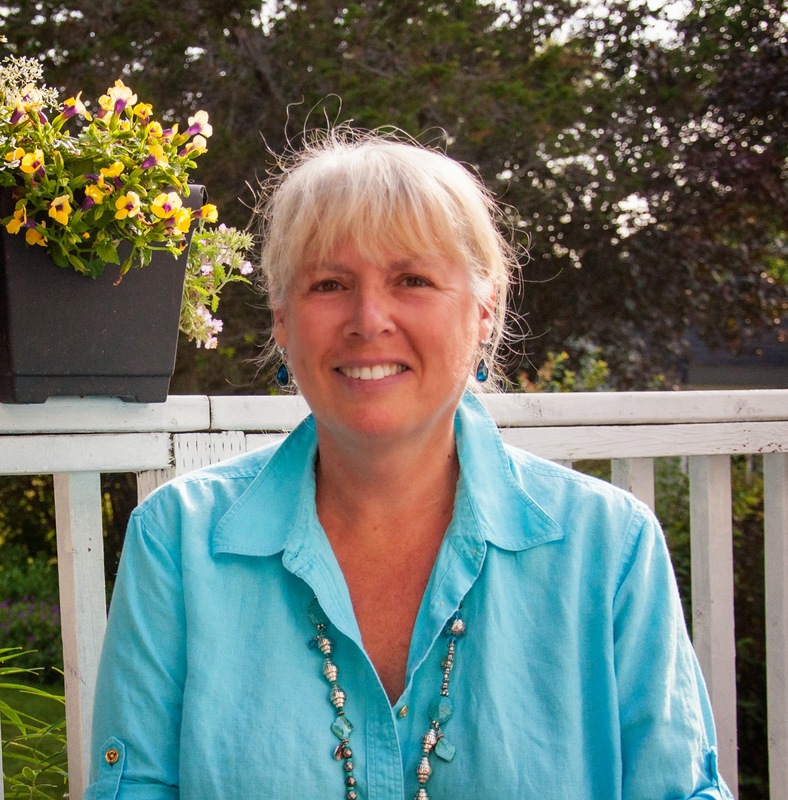 But Aunt Ellen isn’t one for letting anyone laze about, and before I knew what was happening, she’d invited her best friend, who just happens to be the director of the Bodie Island Lighthouse Library, and by the time tea was over, I found myself with a new job. Ricky hasn’t bothered to call me to ask me to reconsider, which pretty much tells you all you need to know about our relationship and why I fled into the night, but you can be sure my mom has. Ricky, you see, is the son of my dad’s law partner, and it’s been expected by both sets of parents that he and I would marry for a long-long-long time. I told Mom I was okay and doing fine, and had no intention of coming back, and since then I’ve let her calls go to voice mail. Right now I have every bit of clothing I own thrown on the daybed or tossed on all available pieces of furniture. Charles, the library cat, is studying the selection. I want to look perfect. Librarian-ish and suitably responsible, yet pretty and fun-loving too. I’ve been told some eligible men might be at the party (not that I’m interested in meeting men) and the catering is by Josie’s Cozy Bakery. Yummy. It’s an important night at the library. Oh, not so everyone can meet the newest employee (but I’m sure they’ll be checking me out too), but because we’ve managed to obtain the loan of a complete set of Jane Austen first editions for the summer. Tonight’s reception is to show the collection to the board and friends of the library before opening to the public tomorrow. I suspect Bertie, the library director, has a secret up her sleeve too! It’s an important night, for the Bodie Island Lighthouse Library as well as for me. I sure hope nothing goes wrong. Eva is giving away a copy of By Book or By Crook to one lucky reader in the U.S. or Canada. Please leave a comment to be eligible. A library in a lighthouse - how cool is that? And all of Jane Austen?? I wanted to be a librarian when I grew up but somehow ended up as a software engineer. Now that I'm retired I am surrounding myself with so many books I am always IN a library. Thanks for the giveaway. Looking forward to reading your new series. Grandma Cootie, in my real life I was a computer programmer, a systems integrator, and then a systems analyst. I loved it for a long time, but then lost interest. Library, lighthouse, cat... and like me, the protagonist owns a Yaris! Looking forward to the new series! I don't own a Yaris, but I do love them. There is something very special about a lighthouse, isn't there, Chris! I like lighthouses but I'm not sure there would be enough room for a lot of books. Sandy, let's just say I stretched the boundaries of the lighthouse a bit in my imagination! I'd never been there before I started these books, and now i love it. Lighthouse + library? I'm there. Thanks for the giveaway. Loved working in the library in high school and university. Considered becoming librarian. Ended up in Marketing and then retail design and construction. Always reading and learning. Looks like a good series. Looking forward to reading it. Thanks for offering the giveaway. I think libraries are what civilization is all about! This sounds like a great book! I love lighthouses and books so a winning combination to me. Thank you for the contest! Definitely one to add to the list. Libraries + Lighthouses = civilization. Don't you think? I can't wait to read this book. It sounds wonderful. Thanks, Annette. I do hope it lives up to your expectations. Both of my parents were librarians and my husband and I visit lighthouseso wherever we travel. Cats, books and a lighthouse -- what a perfect combination! My late mother worked in a book distribution center where she coordinated books going out to the schools in town and later went on to be a librarian. Love lighthouses..would love to win! Oh, dear. That sounds ominous. Love the idea of a library in a lighthouse. With a library cat. Perfect. Ominous indeed. What's in store for Lucy at the party? Love your other books and looking forward to the new series! Thanks, Di. I am really excited about it. I have been an librarian and recently bought a beach house with my sister that is on the same road as Fenwick Island lighthouse. I am looking forward to this book. My dream as a kid was to get locked in the library over night because I never had enough time there. We lived out of town so I couldn't walk there and could only be there as long as it took my mom to buy groceries. And living in a lighthouse besides? You are so lucky! Looks like great cozy mystery. Can't wait to read it. I work at the library and I really can't wait to read this book! It sounds like a wonderful new cozy series. Libraries and lighthouses...together?! Sounds like my third favorite combination, right after chocolate & peanut butter and *wink wink, nudge nudge*! I can't wait to read this! We also have chocolate, as Lucy's cousin owns Josie's Cozy Bakery! Thanks, Renee. I do hope you enjoy it. Love the library. Best place ever. Looking forward to reading this. I wonder why she ran away from Ricky. you have to read the book to find out! Thanks everyone for your kind comments. I'll be a regular here at Killer Characters starting in March, so please lets continue the conversation. 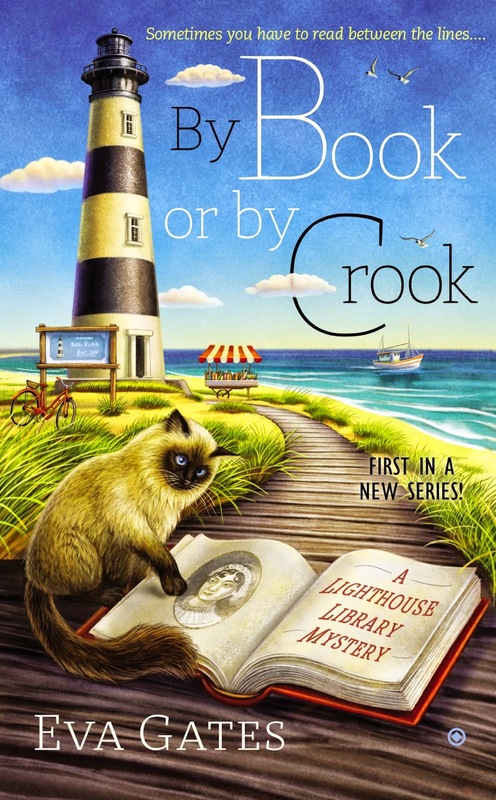 I love cozy mystery books and I haven't read any library-in-a-lighthouse books yet! Really can't wait to read this one. I hope you enjoy it, Loretta. Good luck on your series. A library, a lighthouse, AND a library cat----what more could one ask for in a cozy?? I'd love to read this book. As a retired librarian I'm always looking for a good "library" mystery! Ever since I read about By Book or By Crook, I wanted to read it. Thank you for a chance to win a copy. I think I might want Lucy's job, if things don't work out for her. Library, lighthouse, and first-edition Jane Austen books to read? Wish I had been first in line! Meanwhile, I'd love to read about Lucy's adventure.